It can be tough to tear yourself away from your superyacht even for just one night, but with the luxurious accommodation found on some private islands, it can be worth it. Round-the-clock service, perfectly prepared local cuisine and some of the best beaches in the world to share with only your nearest and dearest — we are certain that dropping anchor and tendering out to your very own spot of paradise will be the ultimate addition to your luxury yacht vacation. 1. Satellite Island, Tasmania Originally bought by reclusive writer, poet and painter Ian Alstergren in the 1960s, Satellite Island is a rugged spot tucked into the south of Tasmania alongside Bruny Island. Wild and picturesque, this 34 hectare paradise is the perfect rural getaway. Rates: To hire the entire island exclusively, midweek rates begin at $1,450 per night for two guests with a minimum stay of two nights. Additional guests can be added for $250 per person per night. While you're there: Guests can spend their days exploring the various walking trails around the island, head out into the surrounding waters atop kayaks to see the island from the sea or even go diving for abalone, urchin and mussels. Additionally, guests can go fishing in the afternoon before heading up to the top of the island for a bonfire while watching the sunset. Ensure your staff have stocked up in Hobart with ingredients for your favourite meals and dine under the stars out on the deck or on the beach with a campfire — don't forget the Tasmanian wine and freshly caught seafood from the day's adventures. Those who fancy exploring further afield can travel over to Bruny Island to visit the winery, take a private air tour or go on a nature safari. 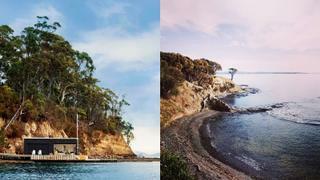 Getting there: Those exploring Tasmania on a superyacht can either cruise south from Hobart and anchor off the island, or moor up in Elizabeth Street Pier in Hobart and travel by private car or helicopter. It can be tough to tear yourself away from your superyacht even for just one night, but with the luxurious accommodation found on some private islands, it can be worth it. Round-the-clock service, perfectly prepared local cuisine and some of the best beaches in the world to share with only your nearest and dearest — we are certain that dropping anchor and tendering out to your very own spot of paradise will be the ultimate addition to your luxury yacht vacation. Originally bought by reclusive writer, poet and painter Ian Alstergren in the 1960s, Satellite Island is a rugged spot tucked into the south of Tasmania alongside Bruny Island. Wild and picturesque, this 34 hectare paradise is the perfect rural getaway. Rates: To hire the entire island exclusively, midweek rates begin at $1,450 per night for two guests with a minimum stay of two nights. Additional guests can be added for $250 per person per night. While you're there: Guests can spend their days exploring the various walking trails around the island, head out into the surrounding waters atop kayaks to see the island from the sea or even go diving for abalone, urchin and mussels. Additionally, guests can go fishing in the afternoon before heading up to the top of the island for a bonfire while watching the sunset. Ensure your staff have stocked up in Hobart with ingredients for your favourite meals and dine under the stars out on the deck or on the beach with a campfire — don't forget the Tasmanian wine and freshly caught seafood from the day's adventures. Those who fancy exploring further afield can travel over to Bruny Island to visit the winery, take a private air tour or go on a nature safari. Getting there: Those exploring Tasmania on a superyacht can either cruise south from Hobart and anchor off the island, or moor up in Elizabeth Street Pier in Hobart and travel by private car or helicopter. Li Galli, sometimes known as Le Sirenuse, is a minuscule archipelago of three atolls (La Rotonda, La Castelluccia and Il Gallo Lungo). Just off the Amalfi Coast, it was one of the most exclusive private islands owned by celebrities, as it used to belong to iconic Russian ballet dancer Rudolf Nureyev. It has since become one of the most luxurious Mediterranean getaways, with visitors including the likes of Sophia Loren, Jackie Kennedy and Greta Garbo. Rates: Rates for exclusive use for 12 guests start from €220,000 per week, which includes catering, private yacht and staff. While you're there: This is the perfect spot to unwind and to get away from it all, so guests can enjoy drinks and fresh fruit from the on-site vegetable gardens by one of two beautiful stone pools, or on the atmospheric dark green-tiled terrace. Those after a more active island adventure can make use of two boats (for day trips to Positano, Capri or other spots on the Amalfi Coast), a Waverunner, canoe and surfboards. Additionally, her rugged coastline is home to a number of incredible grottoes and cave diving spots. The six guest bedrooms are split between the main house and the tower, all of which were carefully decorated by Nureyev himself (he even went all the way to Seville to pick up some Turkish tiles for one of the rooms) and have been restored to their former glory in recent years. Bohemian, spacious and riddled with stunning artworks, kaleidoscopic tiles and furniture, the property also boasts numerous al fresco dining areas with stunning sea views, beautifully kept gardens, a helipad, a gym and a chapel, which is predominantly used for weddings. Getting there: Superyachts up to 40 metres can moor in Marina Piccola Sorrento and superyachts up to 100 metres can moor at nearby Marina di Stabia — from here, tender around the island. Alternatively, superyachts can drop anchor nearby and tender to the island. Li Galli, sometimes known as Le Sirenuse, is a minuscule archipelago of three atolls (La Rotonda, La Castelluccia and Il Gallo Lungo). Just off the Amalfi Coast, it was one of the most exclusive private islands owned by celebrities, as it used to belong to iconic Russian ballet dancer Rudolf Nureyev. It has since become one of the most luxurious Mediterranean getaways, with visitors including the likes of Sophia Loren, Jackie Kennedy and Greta Garbo. Rates: Rates for exclusive use for 12 guests start from €220,000 per week, which includes catering, private yacht and staff. While you're there: This is the perfect spot to unwind and to get away from it all, so guests can enjoy drinks and fresh fruit from the on-site vegetable gardens by one of two beautiful stone pools, or on the atmospheric dark green-tiled terrace. Those after a more active island adventure can make use of two boats (for day trips to Positano, Capri or other spots on the Amalfi Coast), a Waverunner, canoe and surfboards. Additionally, her rugged coastline is home to a number of incredible grottoes and cave diving spots. The six guest bedrooms are split between the main house and the tower, all of which were carefully decorated by Nureyev himself (he even went all the way to Seville to pick up some Turkish tiles for one of the rooms) and have been restored to their former glory in recent years. Bohemian, spacious and riddled with stunning artworks, kaleidoscopic tiles and furniture, the property also boasts numerous al fresco dining areas with stunning sea views, beautifully kept gardens, a helipad, a gym and a chapel, which is predominantly used for weddings. Getting there: Superyachts up to 40 metres can moor in Marina Piccola Sorrento and superyachts up to 100 metres can moor at nearby Marina di Stabia — from here, tender around the island. 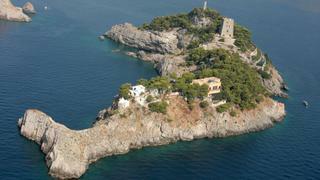 Alternatively, superyachts can drop anchor nearby and tender to the island. Cempedak is the epitome of barefoot luxury, offering a peaceful escape for adults (no children under the age of 16 can visit) to unwind while surrounded by nature. Rates: Available on request While you're there: Retreat to one of the 20 beautiful one-bedroom villas, which are handcrafted from bamboo and have grass roofs, before enjoying a body scrub, facial and luxurious massage at the spa. Guests can explore the sapphire waters surrounding the island via a range of activities, including kite surfing, kayaking, snorkelling trips to the coral reef, paddleboarding and sailing on one of the islands lasers or catamarans. Those who choose to spend some time on land can partake in a game of tennis, croquet, boule and beach volleyball. For those seeking something a little more adventurous, guests can go rock climbing, mountain biking or hiking, and there are plenty of excursions away to discover nearby islands. Getting there: It is possible to visit by superyacht and anchor off the island and you can clear customs and immigration through Bintan port. Guests can fly to Singapore, take a private boat to Bintan Resorts and then catch another to Cempedak, which takes approximately two and a half hours in total. Alternatively, they can fly to Jakarta and then to Bintan and take a private car to Kawal before boarding the private boat to the island. Cempedak is the epitome of barefoot luxury, offering a peaceful escape for adults (no children under the age of 16 can visit) to unwind while surrounded by nature. While you're there: Retreat to one of the 20 beautiful one-bedroom villas, which are handcrafted from bamboo and have grass roofs, before enjoying a body scrub, facial and luxurious massage at the spa. Guests can explore the sapphire waters surrounding the island via a range of activities, including kite surfing, kayaking, snorkelling trips to the coral reef, paddleboarding and sailing on one of the islands lasers or catamarans. Those who choose to spend some time on land can partake in a game of tennis, croquet, boule and beach volleyball. For those seeking something a little more adventurous, guests can go rock climbing, mountain biking or hiking, and there are plenty of excursions away to discover nearby islands. Getting there: It is possible to visit by superyacht and anchor off the island and you can clear customs and immigration through Bintan port. Guests can fly to Singapore, take a private boat to Bintan Resorts and then catch another to Cempedak, which takes approximately two and a half hours in total. Alternatively, they can fly to Jakarta and then to Bintan and take a private car to Kawal before boarding the private boat to the island. Endlessly luxurious, the Hurawalhi Island Resort is in a league of its own. Set at the heart of the Maldives, it boasts one of the world's few underwater restaurants, just one of the many reasons why this island paradise is a must-visit. 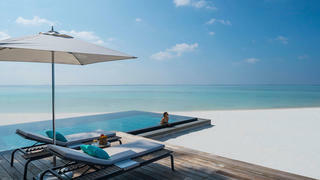 Rates: Prices start from $150,000 per night in the low season (minimum stay of seven nights). While you're there: Those in need of a little TLC can work up a sweat at the fully-equipped gym before heading to the Duniye Spa for a yoga class and an award-winning treatment. Spend your days diving or snorkelling with some of the Indian Ocean's most extraordinary wildlife — you can hope to see manta rays, turtles, sharks, lionfish and a myriad of other reef dwellers. Keen divers can even try wreck dives and go on deep diving excursions. Learn more about your discoveries at the Hurawalhi Marine Biology Centre, where guests can get an insight into the island's research and conservation work. The resort can organise a huge variety of bespoke excursions to suit your tastes and some of the most popular include fishing trips, sailing across the Lhaviyani Atoll and an adventure over to the Dream Island for the utmost in privacy and romance. Getting there: Hurawalhi is a 40 minute flight by seaplane from Malé International Airport — superyachts can anchor off Malé island and transfer to Hurawalhi. Endlessly luxurious, the Hurawalhi Island Resort is in a league of its own. Set at the heart of the Maldives, it boasts one of the world's few underwater restaurants, just one of the many reasons why this island paradise is a must-visit. 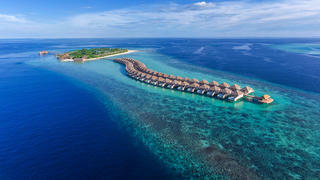 Rates: Prices start from $150,000 per night in the low season (minimum stay of seven nights). While you're there: Those in need of a little TLC can work up a sweat at the fully-equipped gym before heading to the Duniye Spa for a yoga class and an award-winning treatment. Spend your days diving or snorkelling with some of the Indian Ocean's most extraordinary wildlife — you can hope to see manta rays, turtles, sharks, lionfish and a myriad of other reef dwellers. Keen divers can even try wreck dives and go on deep diving excursions. Learn more about your discoveries at the Hurawalhi Marine Biology Centre, where guests can get an insight into the island's research and conservation work. The resort can organise a huge variety of bespoke excursions to suit your tastes and some of the most popular include fishing trips, sailing across the Lhaviyani Atoll and an adventure over to the Dream Island for the utmost in privacy and romance. Getting there: Hurawalhi is a 40 minute flight by seaplane from Malé International Airport — superyachts can anchor off Malé island and transfer to Hurawalhi. Rates: Available on request While you're there: Unsurprisingly, one of the most popular activities at the island is the Sandy Cay Picnic, which is a seven minute boat ride from the main island. Perfect for some real alone time with your other half, spend the day tucking into delicious treats, swimming and basking in the sunshine. Work off the sumptuous offerings on the island with an array of activities, such as diving, rugby, sailing, volleyball, snorkelling and paddleboarding. Additionally, you can take enrol in a cooking or 'coconut' class. Venture off the island to try out sand dune buggies, a river safari, surfing or a zip line canopy tour. Calmer pursuits would have to include a trip to the Davui spa for a luxurious treatment and an afternoon relaxing by one of the many pools or Jacuzzis. Getting there: Guests can arrive by private helicopter, otherwise, superyachts can drop anchor and tender to the island's jetty. While you're there: Unsurprisingly, one of the most popular activities at the island is the Sandy Cay Picnic, which is a seven minute boat ride from the main island. Perfect for some real alone time with your other half, spend the day tucking into delicious treats, swimming and basking in the sunshine. Work off the sumptuous offerings on the island with an array of activities, such as diving, rugby, sailing, volleyball, snorkelling and paddleboarding. Additionally, you can take enrol in a cooking or 'coconut' class. Venture off the island to try out sand dune buggies, a river safari, surfing or a zip line canopy tour. Calmer pursuits would have to include a trip to the Davui spa for a luxurious treatment and an afternoon relaxing by one of the many pools or Jacuzzis. Getting there: Guests can arrive by private helicopter, otherwise, superyachts can drop anchor and tender to the island's jetty. 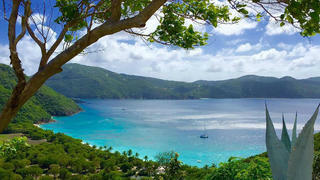 Guana Island lacks the celebrity cachet of nearby Necker Island, but trumps it in size and good looks. Marketed as the island to “imagine the Caribbean before it went public”, Guana Island boasts seven white beaches, miles of tropical forest, mountains, hills and valleys. Rates: $23,500 per night including accommodation for up to 32 guests. While you're there: Enjoy unlimited use of the tennis courts, amazing hiking trails, sailing boats and water toys during your stay and punctuate your activities with stop-offs at the bar for snacks of fresh fruit and a cocktail. Guests will sample sumptuous cuisine for the duration of the trip, complete with wine pairings, while some days will offer up a treat such as a beach barbeque, movie night or a special castaway picnic on a secluded white beach. After an exhilarating yoga class indulge in a massage and a body treatment on Guana's White Bay Beach so you can unwind while listening to the ocean waves. Getting there: Take a commercial flight or a private jet over to Beef Island before heading out on a ten-minute boat journey to Guana Island. Guana Island lacks the celebrity cachet of nearby Necker Island, but trumps it in size and good looks. Marketed as the island to “imagine the Caribbean before it went public”, Guana Island boasts seven white beaches, miles of tropical forest, mountains, hills and valleys. Rates: $23,500 per night including accommodation for up to 32 guests. While you're there: Enjoy unlimited use of the tennis courts, amazing hiking trails, sailing boats and water toys during your stay and punctuate your activities with stop-offs at the bar for snacks of fresh fruit and a cocktail. Guests will sample sumptuous cuisine for the duration of the trip, complete with wine pairings, while some days will offer up a treat such as a beach barbeque, movie night or a special castaway picnic on a secluded white beach. After an exhilarating yoga class indulge in a massage and a body treatment on Guana's White Bay Beach so you can unwind while listening to the ocean waves. Getting there: Take a commercial flight or a private jet over to Beef Island before heading out on a ten-minute boat journey to Guana Island. Over Yonder Cay is an idyllic island in the Exumas, Bahamas, offering an exclusive eco-luxury retreat for single groups who are looking for privacy and escape. *Rates: *Prices start from $20,000 per night in the low season for up to 30 guests in four stunning villas. While you're there: A haven for sports fanatics, Over Yonder Cay has a nine hole par-three golf course, tennis court, volleyball pit, gym, and bicycles for a spot of on-land exploration. Additionally, the island offers yoga classes and has sports instructors for those looking to improve their skills. The watersports offering includes scuba diving, snorkelling, deep sea fishing, kite surfing, windsurfing, paddle boarding and much more. After a day of activities, relax in one of the Jacuzzis, infinity pools, the sauna or steam room and indulge in a massage or beauty treatment. Spend an evening in the games room with a few drinks or settle down in the luxury movie theatre to watch your favourite film with the family. Children are well catered for, as there is a dedicated kids activities co-ordinator. The accommodation offering ensures that guests want for nothing — they will stay in one of four luxury villas, each with its own hot tub. Meridian House and East Cove have private pools, while the latter and South Point are located inches away from the ocean. Getting there: The island has a private deep water marina for superyachts up to 55 metres, making it one of the best hotels to visit by superyacht — it is home to 34.8 metre luxury sailing yacht Tenacious, which is available for charter. Alternatively, guests can get a private seaplane from Nassau or Georgetown. Over Yonder Cay is an idyllic island in the Exumas, Bahamas, offering an exclusive eco-luxury retreat for single groups who are looking for privacy and escape. 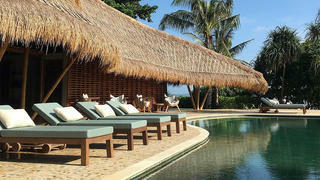 *Rates: *Prices start from $20,000 per night in the low season for up to 30 guests in four stunning villas. While you're there: A haven for sports fanatics, Over Yonder Cay has a nine hole par-three golf course, tennis court, volleyball pit, gym, and bicycles for a spot of on-land exploration. Additionally, the island offers yoga classes and has sports instructors for those looking to improve their skills. The watersports offering includes scuba diving, snorkelling, deep sea fishing, kite surfing, windsurfing, paddle boarding and much more. After a day of activities, relax in one of the Jacuzzis, infinity pools, the sauna or steam room and indulge in a massage or beauty treatment. Spend an evening in the games room with a few drinks or settle down in the luxury movie theatre to watch your favourite film with the family. Children are well catered for, as there is a dedicated kids activities co-ordinator. The accommodation offering ensures that guests want for nothing — they will stay in one of four luxury villas, each with its own hot tub. Meridian House and East Cove have private pools, while the latter and South Point are located inches away from the ocean. Getting there: The island has a private deep water marina for superyachts up to 55 metres, making it one of the best hotels to visit by superyacht — it is home to 34.8 metre luxury sailing yacht Tenacious, which is available for charter. Alternatively, guests can get a private seaplane from Nassau or Georgetown. Set in a quiet corner of the Exumas in the southern Bahamas is Musha Cay, owned by famous magician David Copperfield. Aside from the soft white sand, aquamarine waters and incredible marine life, Copperfield has added a number of personal twists to his private island paradise. 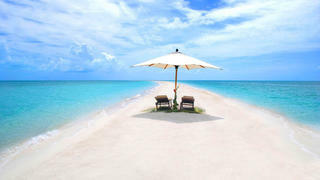 Rates: From $39,000 a day for up to 12 people (up to 24 guests can be accommodated) for a minimum of four nights While you’re there: Musha Cay offers a tennis court, fully-equipped gym, stunning luxury accommodation and a number of high-end dining options with incredible ocean views and the finest food. Private events, firework displays or live music performances can also be arranged. There’s an incredible coral reef for snorkelers and divers to explore, while the island has a number of water toys and a catamaran for guests to venture out on the ocean with. During the day, enjoy an immersive three-hour tour of the islands with ‘pirate guides’, who will lead you to hidden beaches, secret caves, rugged cliff edges and even a petrified lake. Come nightfall, guests can relax in front of a movie at Dave’s Drive-In, an ocean-side, outdoor movie theatre under the stars. Getting there: Copperfield Bay can accommodate yachts up to 60-metres – it also has protected anchorage facilities. Additionally, guests can fly from Miami to Great Exuma, where they will be picked up either by private plane or boat to get to Musha Cay. 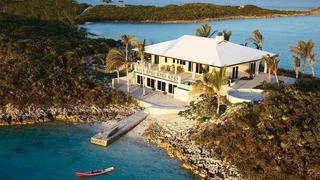 Set in a quiet corner of the Exumas in the southern Bahamas is Musha Cay, owned by famous magician David Copperfield. 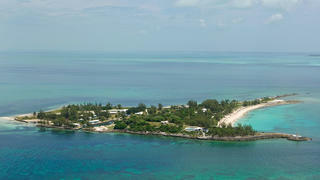 Aside from the soft white sand, aquamarine waters and incredible marine life, Copperfield has added a number of personal twists to his private island paradise. While you’re there: Musha Cay offers a tennis court, fully-equipped gym, stunning luxury accommodation and a number of high-end dining options with incredible ocean views and the finest food. Private events, firework displays or live music performances can also be arranged. There’s an incredible coral reef for snorkelers and divers to explore, while the island has a number of water toys and a catamaran for guests to venture out on the ocean with. During the day, enjoy an immersive three-hour tour of the islands with ‘pirate guides’, who will lead you to hidden beaches, secret caves, rugged cliff edges and even a petrified lake. Come nightfall, guests can relax in front of a movie at Dave’s Drive-In, an ocean-side, outdoor movie theatre under the stars. Getting there: Copperfield Bay can accommodate yachts up to 60-metres – it also has protected anchorage facilities. Additionally, guests can fly from Miami to Great Exuma, where they will be picked up either by private plane or boat to get to Musha Cay. Voavah is a Four Seasons private island resort in Baa Atoll in the Maldives. It opened its shores in December 2016 and is the first exclusive-use UNESCO World Heritage site getaway. Vibrant jungles surrounded by white beaches and complete exclusivity makes this the best way to see the Maldives when away from your superyacht. Rates: Prices start from $46,360 per night and the island can accommodate up to 22 guests in seven bedrooms While you’re there: Keep active with the multitude of watersports on offer, such as kitesurfing, kayaking, sailing, jet-skiing and fishing. The Maldives is famed for its extraordinary marine life and divers of all levels can explore boat wrecks and swim alongside sharks, turtles and manta rays. Additionally, their private 19 metre luxury yacht Voavah Summer can whisk guests away to spot dolphins and turtles or explore other islands. The Ocean of Consciousness Spa offers bespoke beauty and wellness treatments, as well as yoga, meditation, hairdressing and acupuncture. Relax at the spa or enjoy one of the private pools on the island to fully unwind in the sunshine. Getting there: Guests can travel to the island by private jet — approximately a 40-minute journey from Malé. Voavah is a Four Seasons private island resort in Baa Atoll in the Maldives. It opened its shores in December 2016 and is the first exclusive-use UNESCO World Heritage site getaway. Vibrant jungles surrounded by white beaches and complete exclusivity makes this the best way to see the Maldives when away from your superyacht. While you’re there: Keep active with the multitude of watersports on offer, such as kitesurfing, kayaking, sailing, jet-skiing and fishing. The Maldives is famed for its extraordinary marine life and divers of all levels can explore boat wrecks and swim alongside sharks, turtles and manta rays. Additionally, their private 19 metre luxury yacht Voavah Summer can whisk guests away to spot dolphins and turtles or explore other islands. The Ocean of Consciousness Spa offers bespoke beauty and wellness treatments, as well as yoga, meditation, hairdressing and acupuncture. 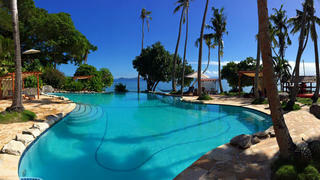 Relax at the spa or enjoy one of the private pools on the island to fully unwind in the sunshine. Getting there: Guests can travel to the island by private jet — approximately a 40-minute journey from Malé. Located in the Berry Island chain of the Bahamas, Little Whale Cay can accommodate up to 12 guests in three secluded villas amid lush green trees facing out to a turquoise sea — a must for anyone spending more than a few days in the Bahamas. Rates: Prices on request While you’re there: Indulge in whatever cuisine takes your fancy, from sushi to barbeque, alongside plenty of the island’s signature rum punch. Work off your sumptuous meals with a spot of water-skiing, deep-sea fishing or sailing, or even head over to one of the neighboring islands to explore some beautiful hidden gems, such as Queen’s Beach, which has a reef with the greatest number of exotic fish in all the Bahamian islands. Relax with a massage, facial, manicure or pedicure or have a nap in the sunshine next to one of the private pools. Getting there: Little Whale Cay can cater for light twin aircrafts, but private jets will need to land at nearby Chub Cay — from there, guests can transfer into a small plane to get to Little Whale Cay or travel by one of the island’s private boats. Located in the Berry Island chain of the Bahamas, Little Whale Cay can accommodate up to 12 guests in three secluded villas amid lush green trees facing out to a turquoise sea — a must for anyone spending more than a few days in the Bahamas. While you’re there: Indulge in whatever cuisine takes your fancy, from sushi to barbeque, alongside plenty of the island’s signature rum punch. Work off your sumptuous meals with a spot of water-skiing, deep-sea fishing or sailing, or even head over to one of the neighboring islands to explore some beautiful hidden gems, such as Queen’s Beach, which has a reef with the greatest number of exotic fish in all the Bahamian islands. Relax with a massage, facial, manicure or pedicure or have a nap in the sunshine next to one of the private pools. Getting there: Little Whale Cay can cater for light twin aircrafts, but private jets will need to land at nearby Chub Cay — from there, guests can transfer into a small plane to get to Little Whale Cay or travel by one of the island’s private boats. Set off the coast of Belize in the Caribbean Sea lies Royal Belize, a beautiful and tiny island getaway for a small number of adults who can lap up the stunning surroundings while shading themselves from the blazing sunshine beneath lofty palm trees. Rates: From $5,600 per night for up to ten adults While you’re there: Get your wellness fix with a yoga class, or venture out onto the ocean atop a kayak, catamaran, paddle board or water skis. Royal Belize is a five star PADI diving resort, where underwater explorers can enjoy trips to the second largest barrier reef in the world. Excursions are also available, including cave tubing and a ride on the longest zip wire in Belize. Getting there: Guests can arrive from Dangriga by 25-minute boat ride or by private helicopter from Belize International airport. Set off the coast of Belize in the Caribbean Sea lies Royal Belize, a beautiful and tiny island getaway for a small number of adults who can lap up the stunning surroundings while shading themselves from the blazing sunshine beneath lofty palm trees. While you’re there:Get your wellness fix with a yoga class, or venture out onto the ocean atop a kayak, catamaran, paddle board or water skis. Royal Belize is a five star PADI diving resort, where underwater explorers can enjoy trips to the second largest barrier reef in the world. 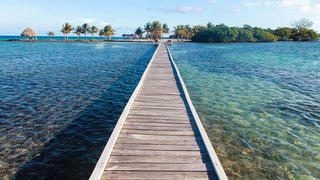 Excursions are also available, including cave tubing and a ride on the longest zip wire in Belize. Getting there: Guests can arrive from Dangriga by 25-minute boat ride or by private helicopter from Belize International airport. A secluded spot in the South Pacific off the north coast of Fiji, Dolphin Island gives guests the chance to unwind in a stunning spot where you’re never too far from the sound of ocean waves — their wellness offering makes this the ideal destination for those in need of a reset. Rates: Prices start from $791 per person per night for eight guests While you’re there: Guests can go diving, snorkelling and kayaking, or simply enjoy the treatments available, such as manicures, pedicures, body wraps and scrubs, facials and massages. Additionally, trips to nearby Fijian villages are available, so you can embrace the local culture and learn the art of cloth making or enjoy observing one of their many ceremonial presentations. Accommodation includes a luxury sleep-out bure with elegant yet rustic interiors and open walls, which is perfect for watching the sunrise or falling asleep to the sound of the ocean. Getting there: Travel by private superyacht helicopter or seaplane transfer from Nadi Airport. A secluded spot in the South Pacific off the north coast of Fiji, Dolphin Island gives guests the chance to unwind in a stunning spot where you’re never too far from the sound of ocean waves — their wellness offering makes this the ideal destination for those in need of a reset. While you’re there: Guests can go diving, snorkelling and kayaking, or simply enjoy the treatments available, such as manicures, pedicures, body wraps and scrubs, facials and massages. Additionally, trips to nearby Fijian villages are available, so you can embrace the local culture and learn the art of cloth making or enjoy observing one of their many ceremonial presentations. Accommodation includes a luxury sleep-out bure with elegant yet rustic interiors and open walls, which is perfect for watching the sunrise or falling asleep to the sound of the ocean. 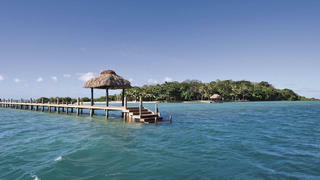 Getting there: Travel by private superyacht helicopter or seaplane transfer from Nadi Airport.